B’z have wrapped up their 30th year with a pair of fanclub-only performances in Hawaii. The show was performed over two days at two separate venues with the second also being streamed live to Japanese theaters. The eighteen-song setlist included fan favorites from the anniversary tour that completed its run a week earlier but reshuffled. Most importantly, the shows featured the returns of numerous longtime fan requests. Some dated back to appearances 27 years ago. 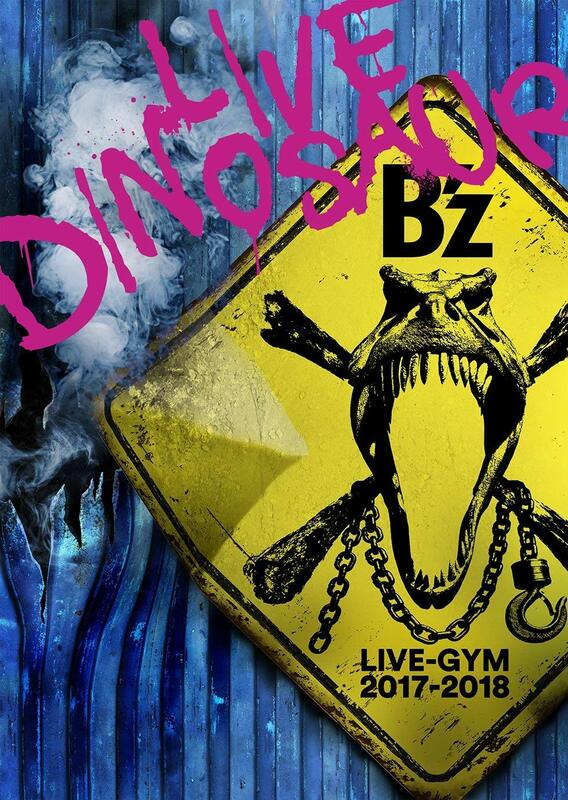 The setlist has been posted below, no home video release has been announced at this time but it is possible the show could be packaged with an eventual release of B’z LIVE-GYM Pleasure 2018 -HINOTORI- sometime next year. 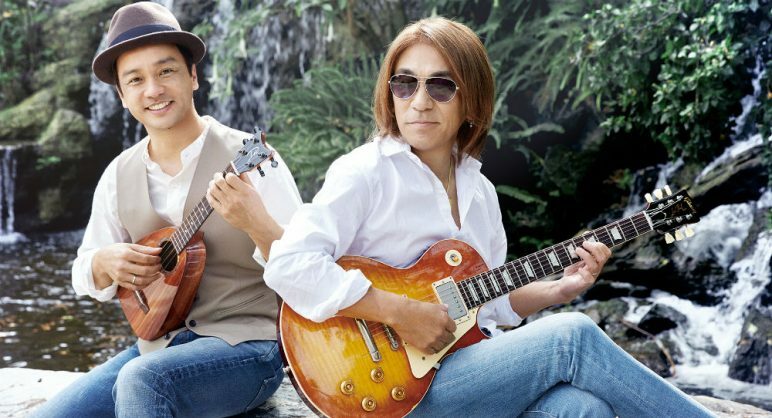 At the end of July, it was offically confirmed that Tak Matsumoto & Daniel Ho would be reteaming for a show at the Aratani Theater in Los Angeles for their tour Tak Matsumoto & Daniel Ho Live! 2017 -Electric Island, Acoustic Sea-. The show is set for a little under a month away on October 14. Four days prior to this, however, the two will perform a 200-seat warm-up show at the Clive Davis Theater also in Los Angeles. The venue is part of the Grammy Museum, with both musicians being previous Grammy Award winners in the past. The added show at the Clive Davis Theater will take place on October 10, 2017. Tickets are not yet on sale but will go likely quickly when they do on September 21. The duo’s collaborative album Electric Island, Acoustic Sea is now available for purchased worldwide on iTunes. Daniel Ho and Tak Matsumoto are two of the most respected artists in their fields. Combined, they have won seven GRAMMY Awards, sold millions of albums, and touched every corner of the world with their music. Born in Honolulu, Hawaii, and based in Los Angeles, Daniel Ho has graced his presence in many aspects of music, from composing to producing to audio engineering. Alone, Ho has racked up six GRAMMYs, multiple Hawaiian Music accolades, and four Taiwanese Golden Melody Awards. Ho has written and performed songs in the English and Hawaiian languages, and his music has been featured in films including the romantic comedy hit, Forgetting Sarah Marshall. 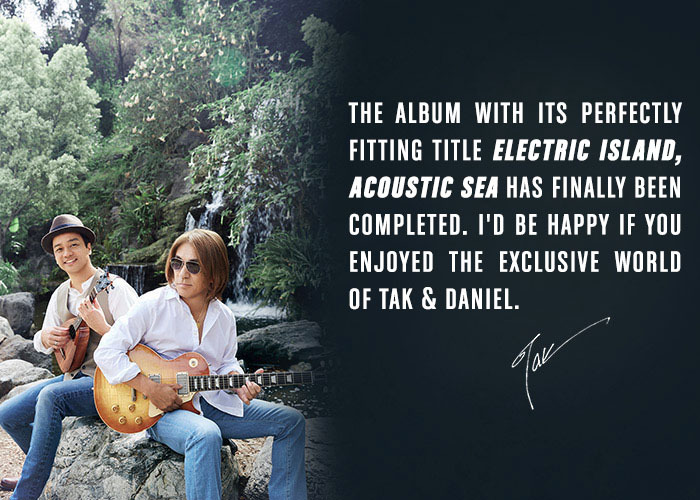 Achieving success as a soloist and collaborator, Ho worked with Tak Matsumoto to record and tour their 2017 album titled, Electric Island, Acoustic Sea. Born in Osaka, Japan, Matsumoto quickly emerged as a top guitarist, highly regarded by his Japanese peers and worldwide. 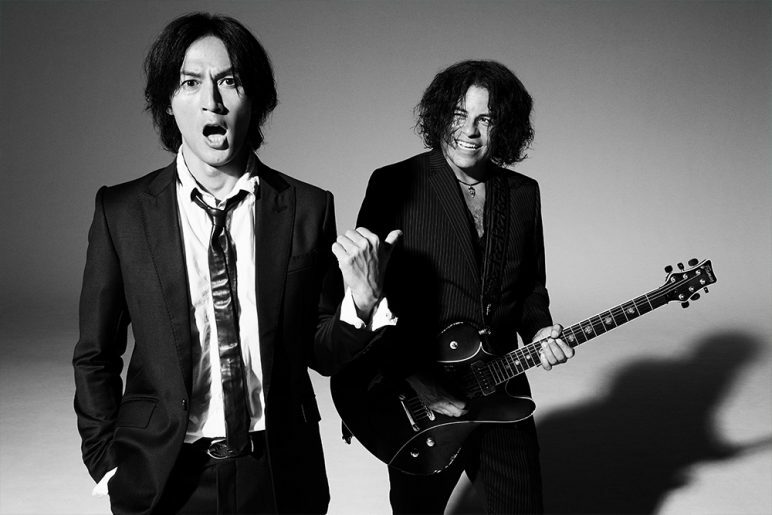 In the late-’80s, Matsumoto partnered with Koshi Inaba to form the rock duo, B’z, and reign as one of Japan’s most successful acts, selling over 80 million copies and holding the record for most consecutive No. 1 singles. Matsumoto, with his coveted guitar style, has joined forces with artists like Steve Vai, Aerosmith, Eddie Van Halen, and Slash. Alongside Larry Carlton, he won a GRAMMY for Best Pop Instrumental Album for Take Your Pick. Matsumoto is one of the first five artists, as well as the first Asian artist, to be bestowed with the honor of a signature Gibson Les Paul guitar. Ho and Matsumoto’s first collaborative album, Electric Island, Acoustic Sea, is an especially personal project. Featuring traditional instruments that are a part of their respective island cultures, including the ukulele, slack key guitar, koto and taiko, the album is a fresh take on contemporary instrumental music. The GRAMMY Museum is thrilled to welcome Tak Matsumoto and Daniel Ho to the Clive Davis Theater for an intimate conversation about their newest collaborative album, which will be followed by a live performance, hosted by Executive Director Scott Goldman. The international show teased by Stevie Salas back in June has finally been confirmed. On August 26, Koshi Inaba and Salas will play what could be the final date in support of their collaborative album CHUBBY GROOVE with a stop in Shanghai! 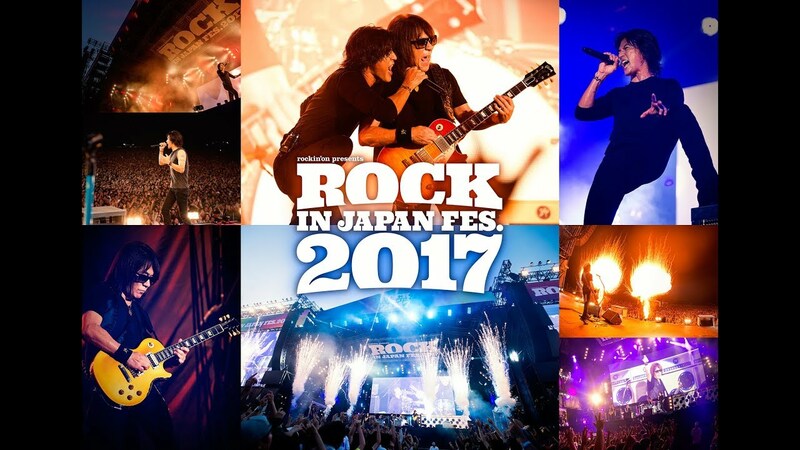 The showing was favored as the foremost contender for the international show given that INABA/SALAS will already be performing at SUMMER SONIC in Tokyo and Osaka the previous week. The duo will appear alongside Japanese visual kei act Luna Sea and Scottish rock outfit The Fratellis on the Marine Stage in the event’s inaugural performances. This is Koshi’s first international performance since B’z LIVE-GYM 2012 -Into Free- wrapped in Los Angeles five years ago. 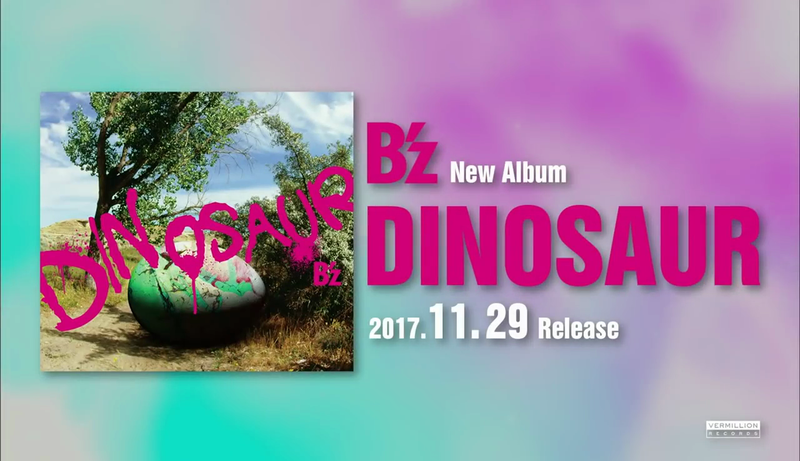 This is not his first time performing outside of Japan in Asia, however: in 2001, B’z performed in both Hong Kong and Taipei. 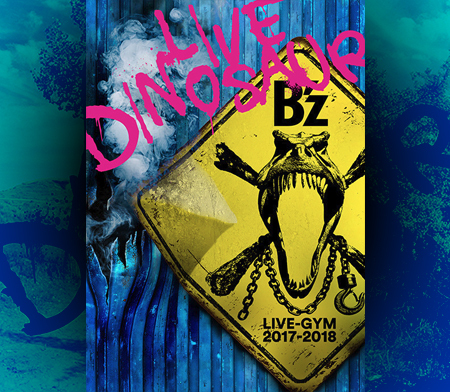 B’z LIVE-GYM in Taipei & Hong Kong 2001 lasted for one date each in both, with the setlist essentially making it an honorary Pleasure LIVE-GYM. 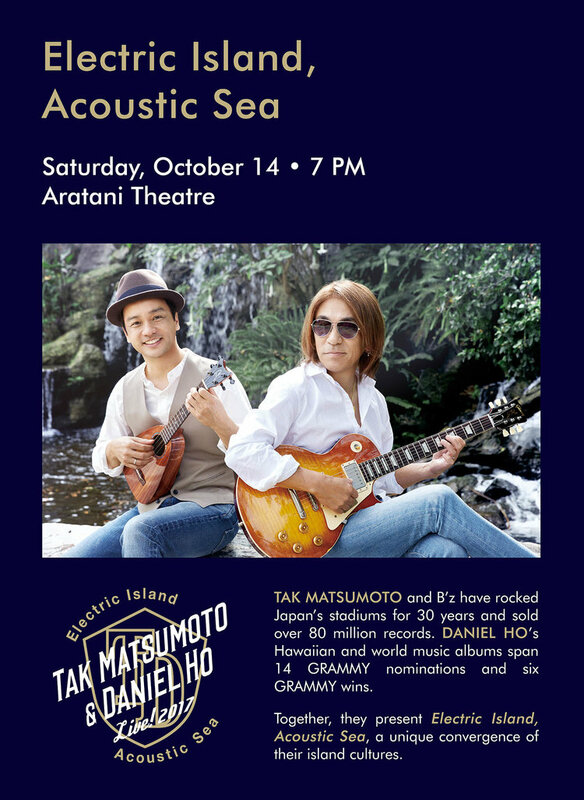 Tak Matsumoto & Daniel Ho to Play Aratani Theater in Los Angeles! It has just been announced that one final date will be played as part of Tak Matsumoto & Daniel Ho Live! 2017 -Electric Island, Acoustic Sea- and this time, it is in Los Angeles on October 14, 2017! The show is presented by American Honda Motor Co., Inc. and JACCC, the Japanese American Cultural & Community Center. Tickets are on sale now at this link and are listed at $49 for orchestra seating and $39 for balcony options. Unlike with many past B’z shows overseas, there are no special tickets allocated for B’z Party members and all are first come, first serve. Tak Matsumoto and B’z have rocked Japan’s stadiums for 30 years and sold over 80 million records. Daniel Ho’s Hawaiian and world music albums span 14 GRAMMY nominations and 6 GRAMMY wins. Together, they present Electric Island, Acoustic Sea, a unique convergence of their island cultures. The prospect of a stop in Los Angeles was first floated in an interview with Daniel Ho some months ago but given it was not included in the initial announcement and was also not paired with the Hawaii show that served as the tour’s finale, we were unsure if it was still happening. Electric Island, Acoustic Sea is available for purchase worldwide on iTunes. We may not have heard the last of the album, however, as November will bring the official list of the Grammy Award nominations and the album is surely being considered given Daniel Ho’s own fourteen nominations and Tak’s one which resulted in a win with Larry Carlton in 2010. 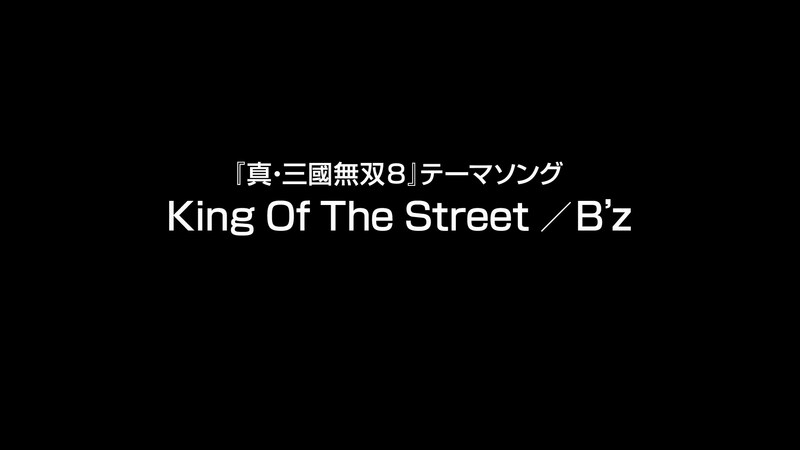 Tak has previously performed in Los Angeles as part of B’z numerous times, including twice for B’z LIVE-GYM 2002 “Rock n’ California Roll” and LIVE-GYM 2003 “BANZAI IN NORTH AMERICA”, with one showing for 2011’s -long time no see- tour and another for B’z LIVE-GYM 2012 -Into Free- at the since re-purposed Gibson Amphitheater at Universal Citywalk. Showings in Second Country Teased? 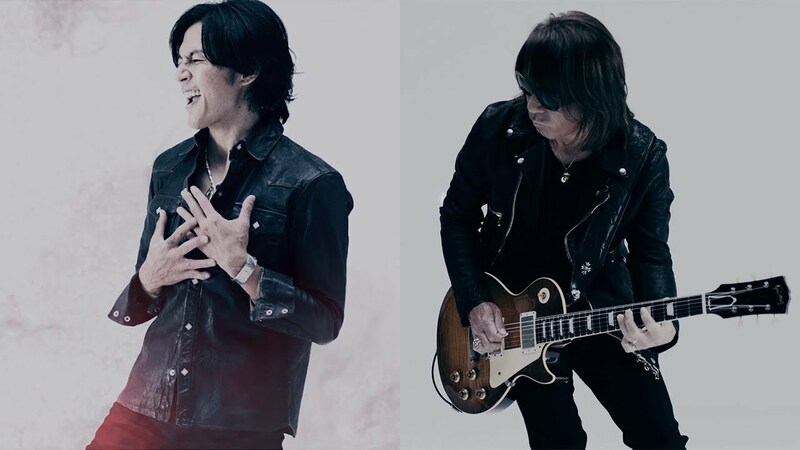 Koshi Inaba and Stevie Salas will reform their CHUBBY GROOVE band for a few limited engagements this fall amidst Koshi’s B’z commitments. First, they will appear at SUMMER SONIC 2017 on August 19th and August 20th, performing with the Foo Fighters, All Time Low, Man with a Mission, and Royal Blood on both dates in Osaka and Tokyo, respectively. Days later, the band will team with visual kei artist Miyavi and rock outfit Made in Asia for a special event at Toyosu PIT in Tokyo. Made in Asia is a band whose roster includes Duran, who has appeared with Koshi on his solo tours in 2014 and 2016. The fourth show mentioned by Salas has not been officially confirmed but, if occurring, would be expected to take place in August or September as well. Electric Island, Acoustic Sea Out Now & On iTunes Worldwide! 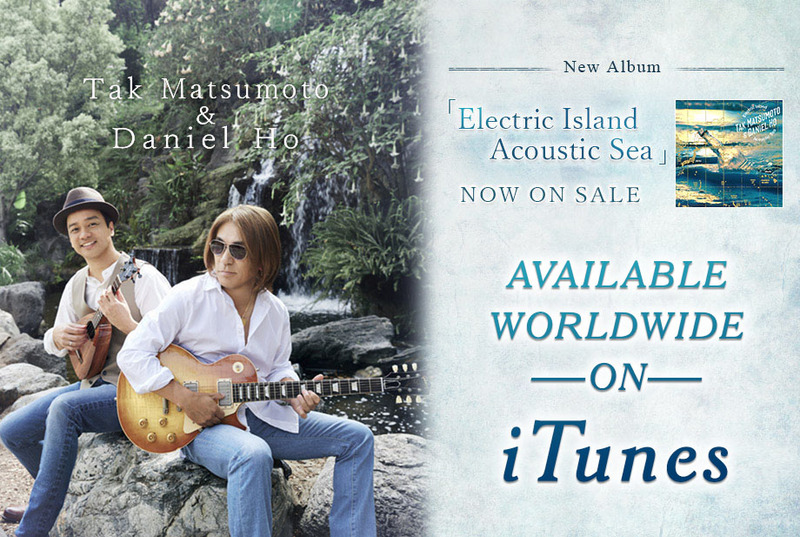 Tak Matsumoto & Daniel Ho’s joint album Electric Island, Acoustic Sea was released in Japan today, and is available worldwide on iTunes as well! The album retails for $11.99 for the entire 12-track album, or $1.29 per track. 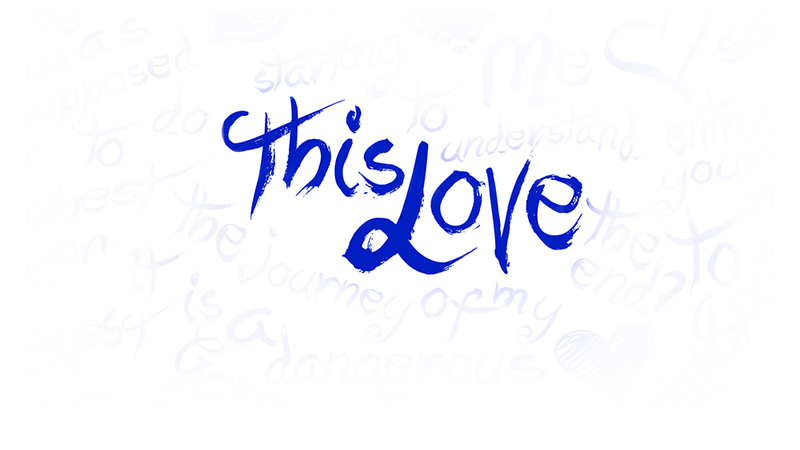 The release is available on all iTunes storefronts internationally with similar pricing. The pair will go on tour for Tak Matsumoto & Daniel Ho Live! 2017 -Electric Island, Acoustic Sea- on February 25 in Tokyo and will play their final show a month later on March 19 in Hawaii.